New DESIGN SCENE issue is out on October 18th, before the release discover our 1st teaser cover starring supermodel CAROLA REMER photographed in New York by photographer FILIPPO DEL VITA. Pre-order by October 18th to receive digital Issue 018 of DESIGN SCENE for free. Carola who is represented by MARILYN MODELS in NEW YORK wears on the cover total look VERSUS VERSACE, styled from the Fall Winter 2017 collection by AMARSANA GENDUNOVA. In charge of the hairstyle was Hairstylist Eloise Cheung with makeup from Makeup Artist William Murphy. 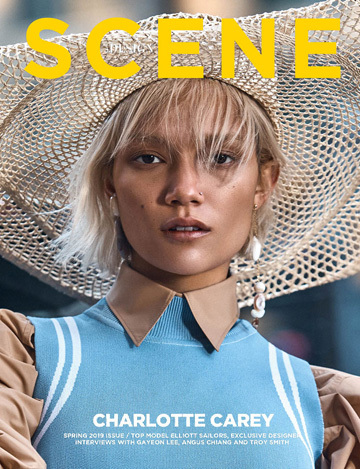 Subscribe to DESIGN SCENE Magazine and receive a free digital copy of issue 019 on October 18th.